The Rio Celeste is one of the most beautiful and scenic rivers in the country due to the unique and intense turquoise color of its’ waters. 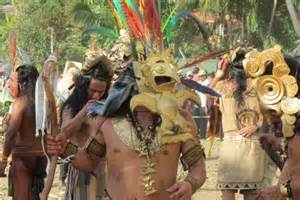 The Malekus Reservation is particularly notable for their efforts to rescue and keep alive the values and traditions of their ancestors through dance, crafts, socio-political organization and sacred relationship with nature. 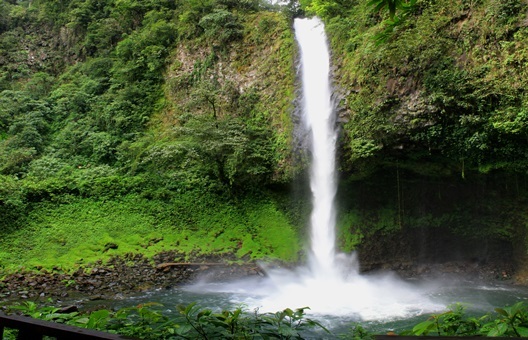 The area around La Fortuna and Arenal Volcano National Park offers a variety of attractions and activities. 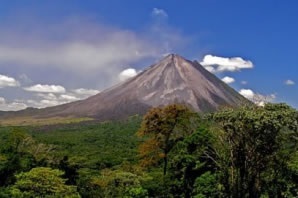 Predominant among these is the impressive Arenal Volcano, famous for its past spectacular eruptions and the trails that run through past lava flows. Lake Arenal is home to the country’s largest dam! Beautiful natural landscapes, rainforest aerial trams, Canopy Tours, spas and hot springs are some of the others not to be missed attractions and offer and ideal way to relax and forget the stresses of everyday life. Early morning pick up at your San Jose area hotel to begin 5 hour trip enroute to Upala Bijagua-Cañas. At a designated point on the highway we will detour to a gravel road for the last 7 1-2 miles to the Tenorio Volcano National Park reception area to start a 1 mile walk to the Rio Celeste waterfall, and the thermal Teñideros, the site where the water becomes turquoise by a chemical phenomenon. The place is ideal to enjoy the unique scenery of the river, the waterfall and the rain forests of the Tenorio Volcano Volcán Protected Zone. Overnight at Sueño Celeste B&B offering scenic views of the Tenorio and Miravalles Volcanoes. ​$890.00 per person based on double occupancy. $950.00 per person based on double occupancy.